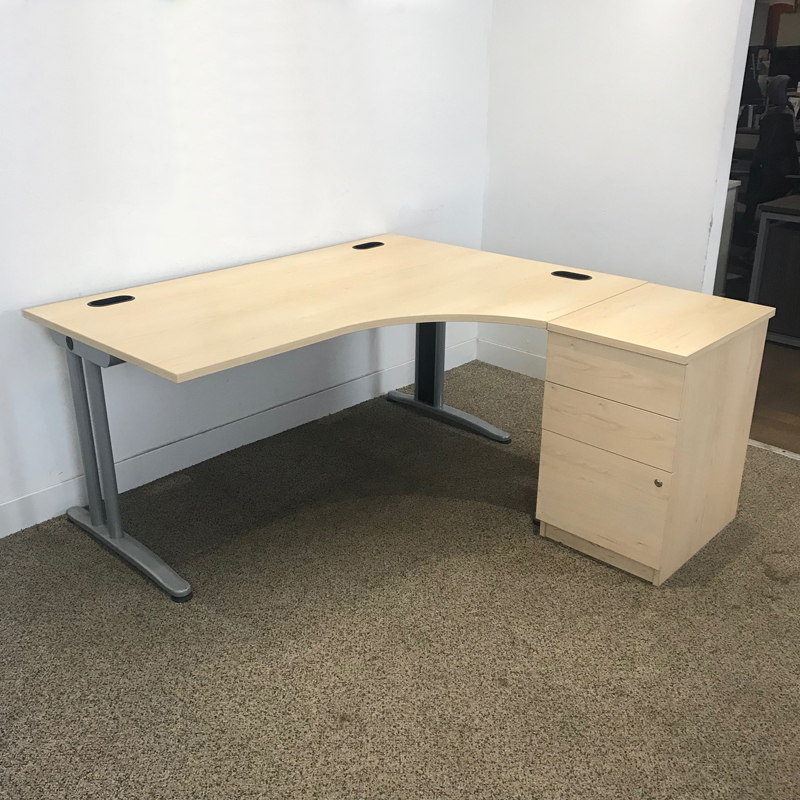 1600x1200mm top with desk high pedestal. Total footprint 1600x1640mm. Light grey double upright legs. 3 drawer desk high pedestal including filing drawer. 1x right hand, 1x left hand.